OLD PARKED CARS. 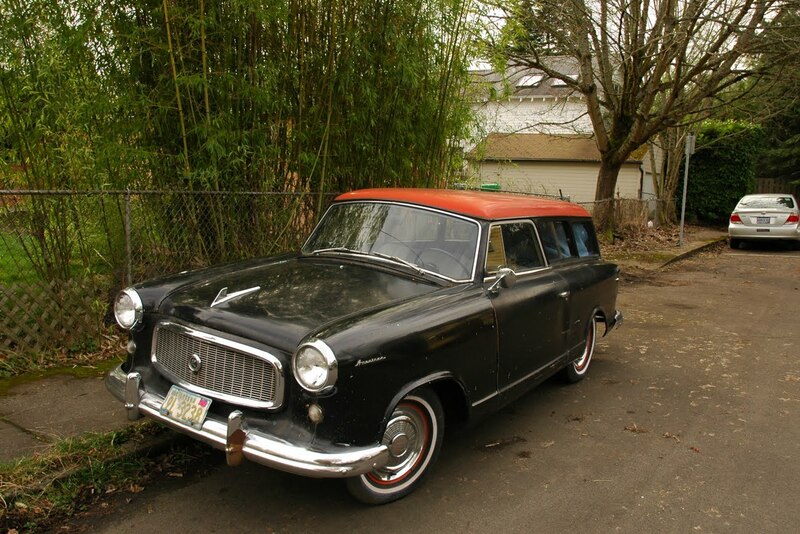 : Sunday Bonus: 1959 Rambler American Station Wagon, Revisited. 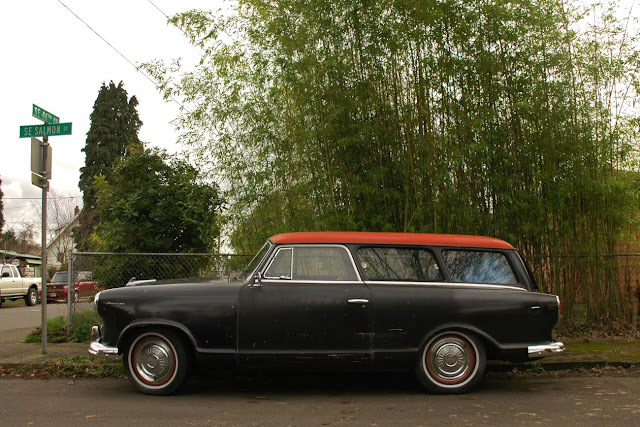 Sunday Bonus: 1959 Rambler American Station Wagon, Revisited. Finally! 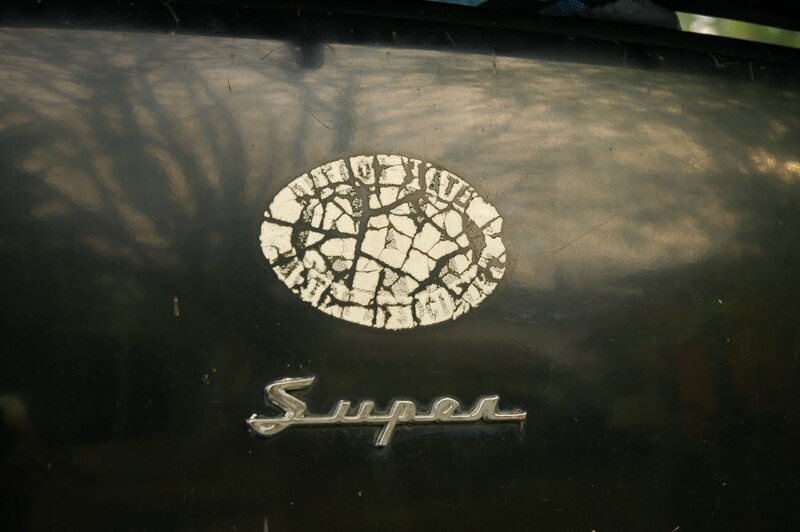 A great photo opportunity for one of the (previously) most frustratingly cramped old parked cars of them all. That wheelbase is 5.5" longer than a Beetle, awesome. 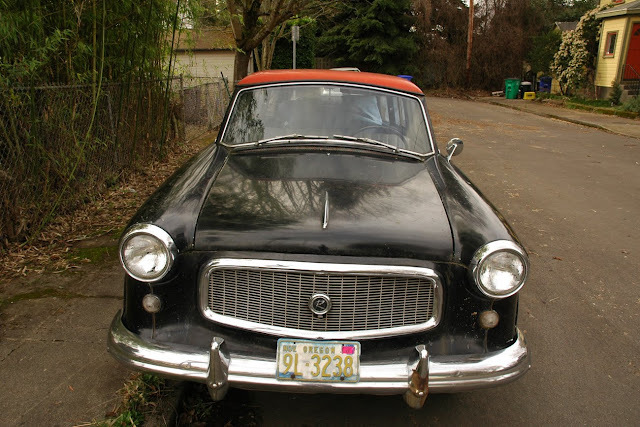 I can see the simmilarity to the Volvo wagon posted at thursday. I drove by this car on Sunday too! Odd coincidence considering it's such a tucked away street, I ended up there on accident after leaving the Belmont food carts. such satisfying two-tone and color-matched wheels, not to mention "stance." looks like a nash metropolitan, which are some of my least favorite cars ever, but i'd drive the heck out of this. 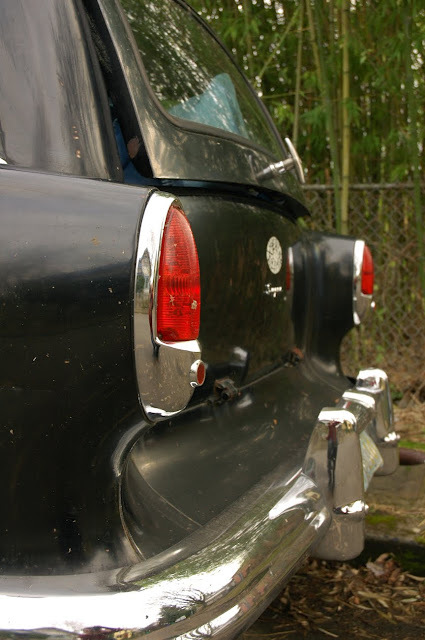 split rear tailgate? it's picnic time. Ha! Anon, I found this shortly before going to the Belmont food carts. 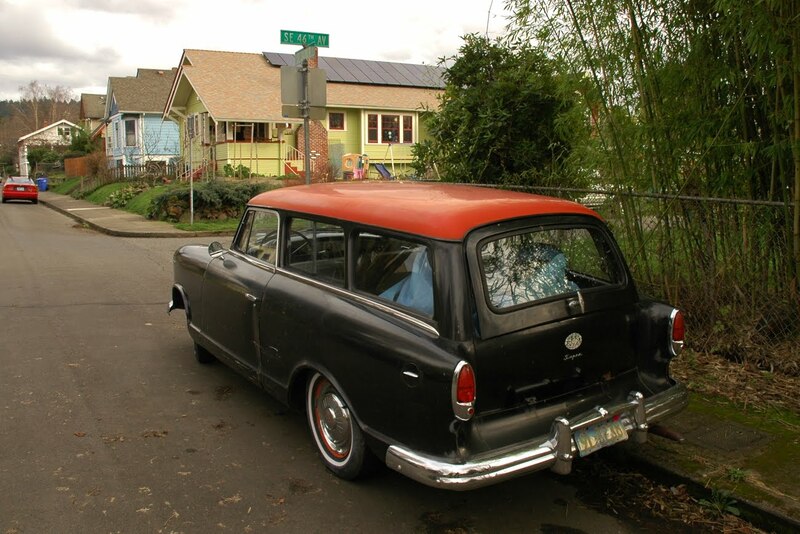 Great pics of a classic, classic AMC! It looks like it's in great condition. Great to see it's still cruising along, and you got some sweet shots of it.